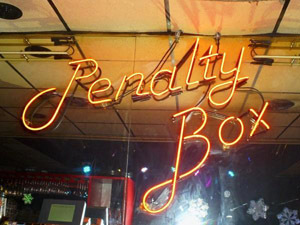 The Penalty Box is a very basic local bar located on Plymouth Road. They have DJ's and karaoke. If you go on the weekend they usually have live bands playing.